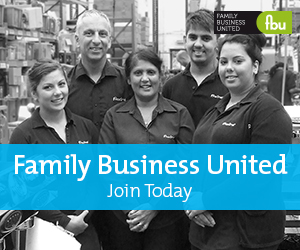 Family Business United ('FBU') works with partners, sponsors and members to provide lots of opportunities to be part of our family business community. Our community continues to grow and we continue to develop new ways for you to get involved. Bespoke packages are available to suit any budget and include advertising online, sponsorship of a section of the website or a regional ebulletin, participation in the Family Business of the Yeard Awards, sponsorship of one of events such as the flagship conference or the Family Business Road Trip or membership first and foremost. If you are looking to work on a specific project, event, seminar or have any other ideas that we may be able to help with, then please do get in touch. It doesn't cost anything to talk and if we can help, we will!